﻿ Ohio Statehouse - Ohio. Find It Here. 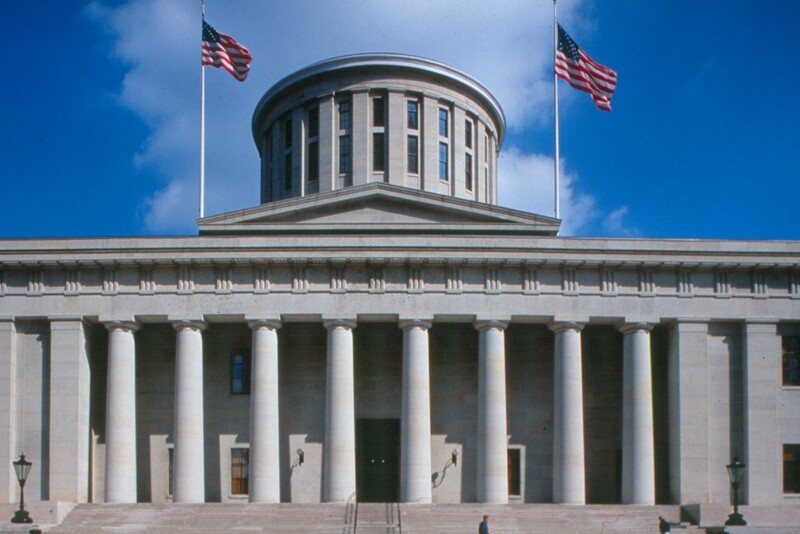 The Ohio Statehouse, completed in 1861, is a National Historic Landmark and one of the nations outstanding examples of Greek Revival architecture. One of the oldest working statehouses in the country, Ohios capitol welcomes visitors every day of the year, except state holidays. 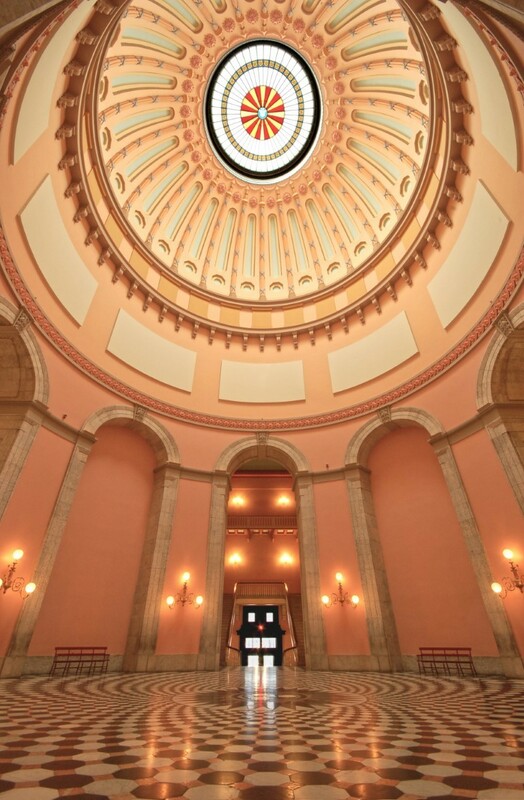 The legislative chambers, rotunda, and committee rooms illustrate the government process, and permanent historical exhibits and interactive kiosks highlight Ohios history. The capitols grounds feature several important monuments, beautiful landscaping, and the Ohio Veterans Plaza. For convenience, Graze: the Capitol Café and the Statehouse Museum Shop offer meals and shopping. Underground parking is available. 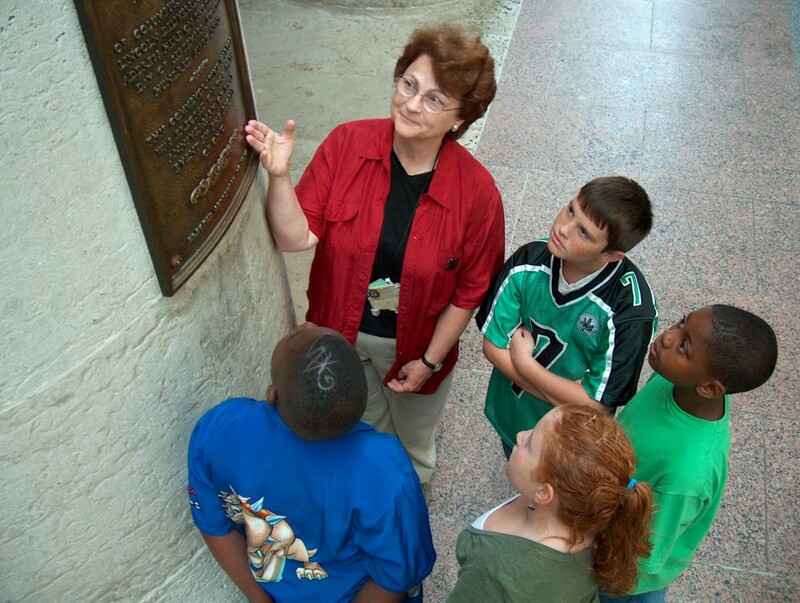 The Ohio Statehouse Museum Education Center schedules tours for groups of ten or more subject to availability, and self-guided tours are available. All Statehouse tours are free of charge. The buildings and grounds of Capitol Square may be available for special events, weddings and receptions. The Ohio Statehouse is more than a monument to our past; its where history happens. The Ohio Statehouse is handicapped accessible, with a nursing room, shop and café.